Being part of a bigger picture sometimes brings things into a sharper focus. When our community comes together for the Incline Star Follies and for the educational needs of our children, we achieve two very important things: unity and pride. These are indeed important accomplishments. 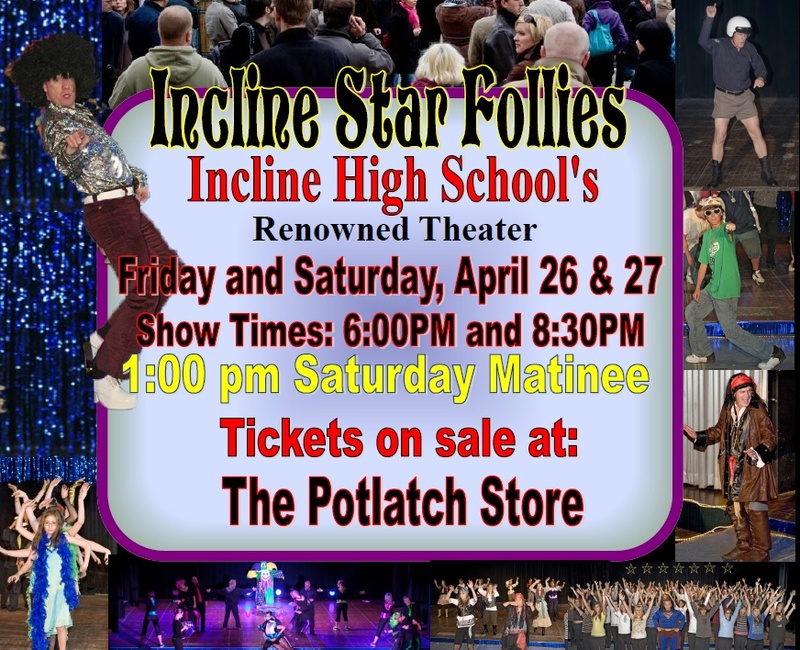 The Incline Star Follies is a family cabaret filled with fun and folks from our town. When school kids, teachers and community members take to the stage to ‘lip-synch’ great songs and dance their hearts out they just sparkle - you have to see it to believe it! Their energy is contagious and knowing that 100% of the proceeds raised from this exciting event remain in our community and go towards the needs of our local Incline Village Schools - you just want to be a part of it. Join us again in our quest to enhance education in Incline Village and experience something like you never have before...and become a ’star’ in your own right.